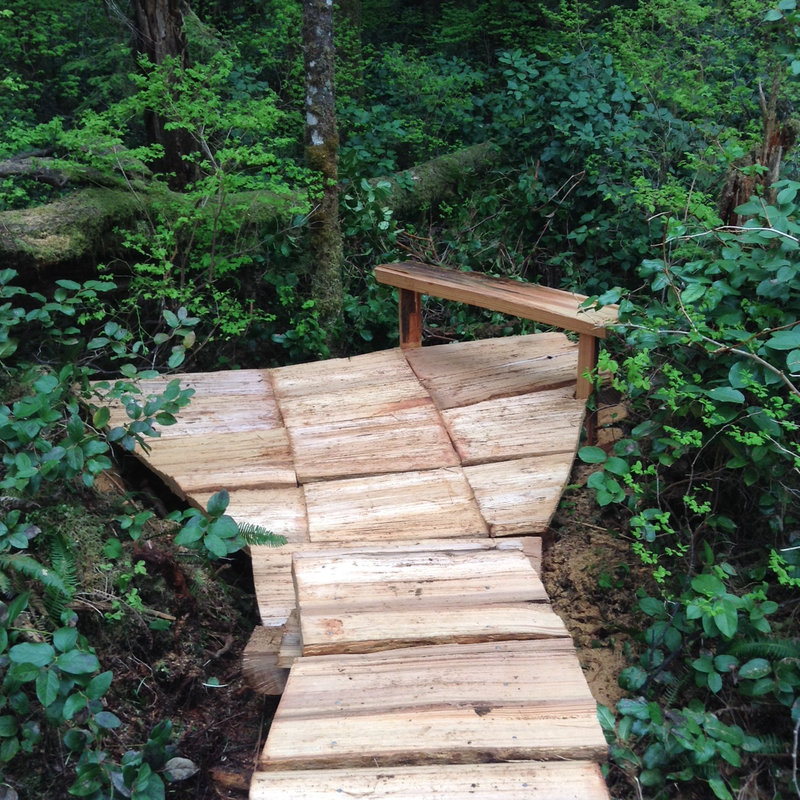 On April 8th-9th-10th the FoCW and the Wilderness Committee held a jointly organized work party in the Central Walbran to carry out much needed upgrades to the trail systems. These trails lead to some of the significant trees within this unprotected area. Work this time was focused on the ‘Tolkein’ Giant Trail as it is in a wet lowland area that was showing signs of erosion due to hiker traffic. A viewing platform and bench was also built near the base of the Giant tree. 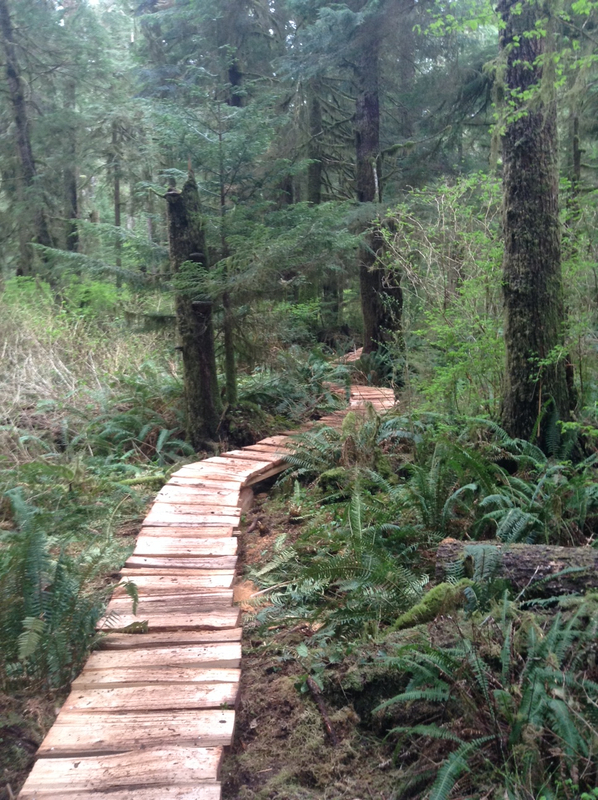 Over 500 feet of new boardwalk was added to protect the roots of the giant trees and the fragile forest ground that supports them. This project provides crucial infrastructure towards the continuing growth of the Tall Trees Tourist economy, which is a sustainable alternative for local communities instead of the proposed clear-cut logging of these ancient forests.